Governor Reynolds and Senator Ernst at Scott County Republican headquarters. Just eight days remain until Election Day, so candidates and their supporters spent the weekend chasing down absentee ballots and claiming momentum is on their side. About 60 miles to the west, rival Fred Hubbell met with a group of Democrats in a Coralville home before they departed for door-to-door work. Later, on a residential street in Iowa City, Hubbell spoke with reporters. 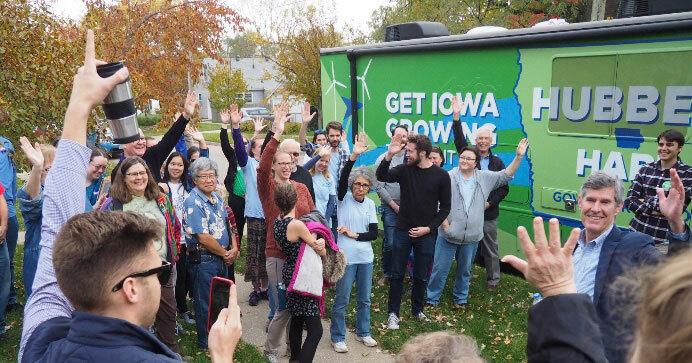 Fred Hubbell in Iowa City. Reynolds, in the campaign’s closing days, touts the tax cuts she approved and accuses Hubbell of making promises that will require tax increases. Republican U.S. 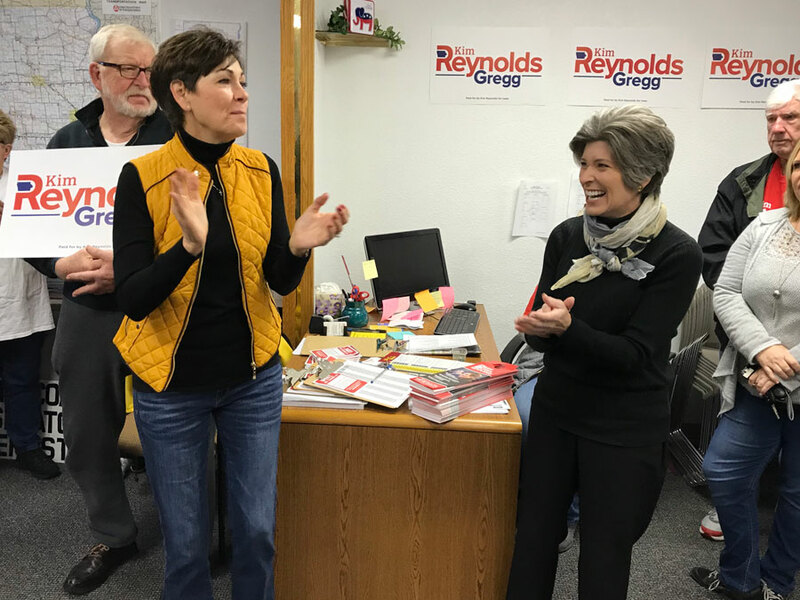 Senator Joni Ernst was with Reynolds in Davenport and echoed those sentiments. “We don’t want to see a Democrat moving into the governor’s office because everything that we have worked for will be taken away,” Ernst said. Hubbell is suggesting Reynolds has unfulfilled promises that will require more money. This past Saturday at 5 p.m. was the deadline for getting your name on the voter registration list for this year’s election. Iowans may register to vote at their precinct on Election Day, but must show a form of ID, like a driver’s license or passport, as well as proof of residence, like a utility bill.